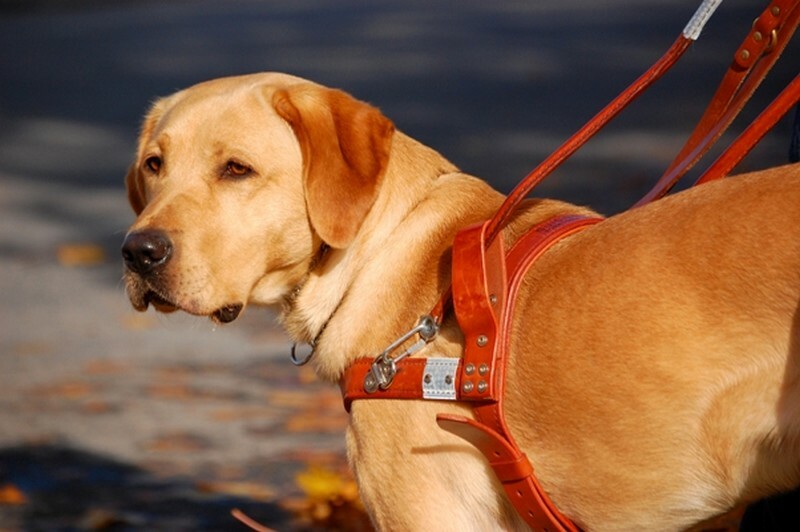 From Canadian Guide Dogs for The Blind, some quick facts about guide dogs! Additionally, a guide dog must know to disobey any command that would put the handler in danger. This ability, called selective disobedience, is perhaps the most amazing thing about guide dogs — that they can balance obedience with their own assessment of the situation. This capacity is extremely important at crosswalks, where the handler and dog must work very closely together to navigate the situation safely. When the team reaches the curb, the dog stops, signaling to the handler that they have reached a crosswalk. Dogs cannot distinguish the color of traffic lights, so the handler must make the decision of when it is safe to proceed across the road. The handler listens to the flow of traffic to figure out when the light has changed and then gives the command “forward.” If there is no danger, the dog proceeds across the road in a straight line. If there are cars approaching, the dog waits until the danger is gone and then follows the forward command. In a handler-guide dog team, the guide dog doesn’t lead the handler and the handler doesn’t completely control the guide dog; the two work together to get from place to place. The guide dog doesn’t know where the destination is, so it must follow the handler’s instructions of how far to go and when to turn. 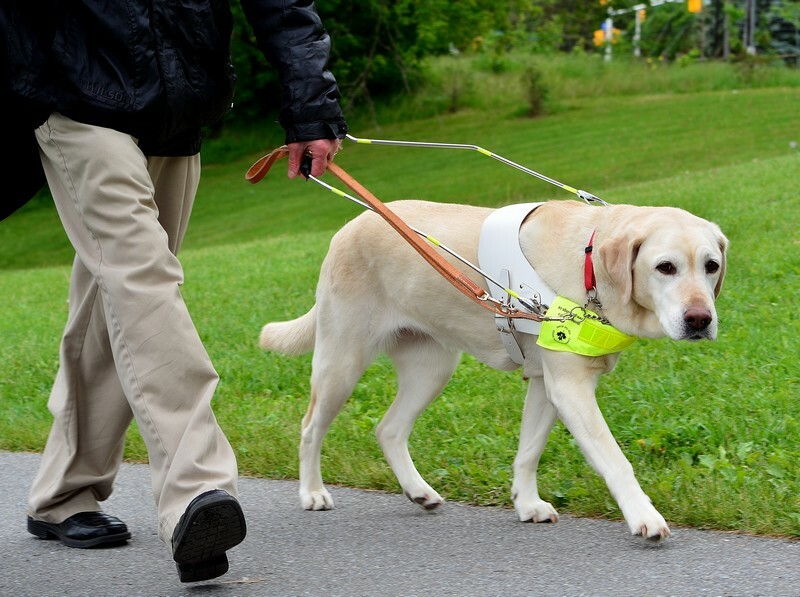 The handler can’t see the obstacles along the way, so the guide dog must make its own decisions as to how to navigate the team’s path. Each half of the team relies on the other to accomplish the tasks at hand. 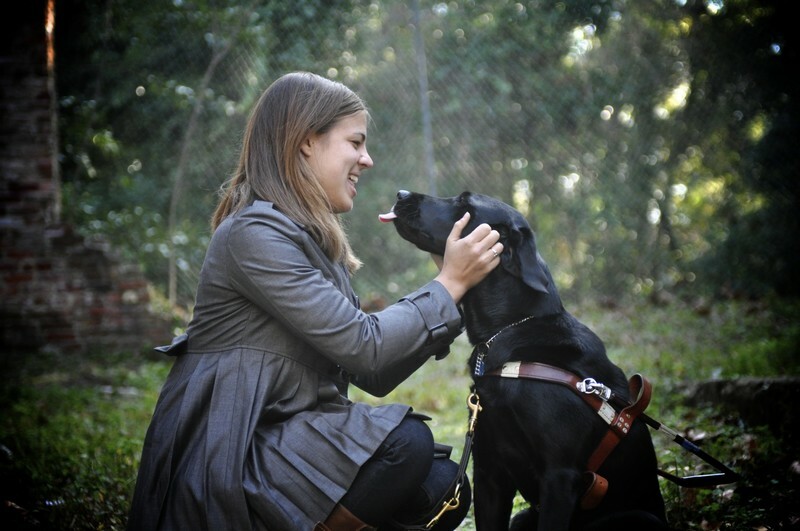 As a guide dog gets more experience with its handler, it may be able to take on even more responsibility. For example, many veteran guide dogs know all of their master’s usual destinations. All the handler has to tell them is “go to the office” or “find the coffee shop,” and the guide dog will follow the complete route! Approximately half a million Canadians are estimated to be living with significant vision loss which impacts their quality of life. Less than 1% has a guide dog. The prevalence of vision loss in Canada is expected to increase nearly 30 per cent in the next decade. Thus, the demand for guide dogs will also increase. Only one-third of Canadian working-age adults with vision loss are employed. Guide dogs provide independence and assist their handlers in getting from “point A to point B”, which gives individuals enhanced opportunities to find employment. Older people with vision loss (60+) are three times more likely than those with good vision to experience clinical depression. A guide dog provides increased and enhanced mobility, but also provides a reason for someone to get up in the morning. As much as a guide dog helps a blind person, the individual must be in a position to care for the dog, giving them an additional purpose to live an active lifestyle. People with vision loss are at greater risk of social isolation and reduced community participation. A guide dog is a conversation starter and often forces people with vision loss who have a guide dog to be more social. A guide dog also assists them in mobility, enabling them to attend community functions and events, and live a healthy, active lifestyle. Guiding Eyes is a 501(c)(3) nonprofit that provides guide dogs to people with vision loss as well as service dogs to children with autism. 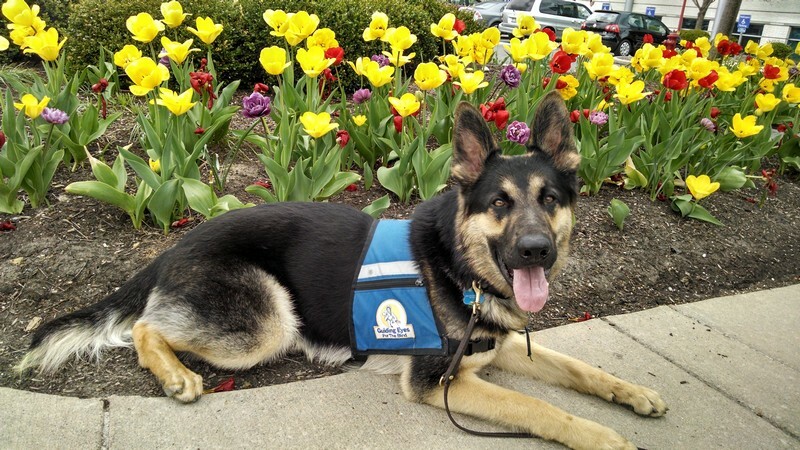 The organization is passionate about connecting exceptional dogs with individuals and families for greater independence. 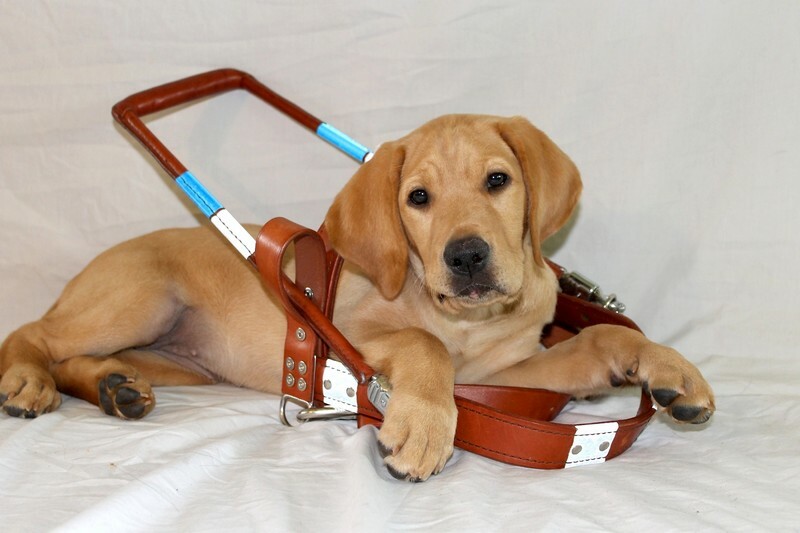 Since its inception in 1954, Guiding Eyes has grown to be one of the foremost guide dog schools in the world, known for its accredited training programs and lifetime commitment to its graduating teams. 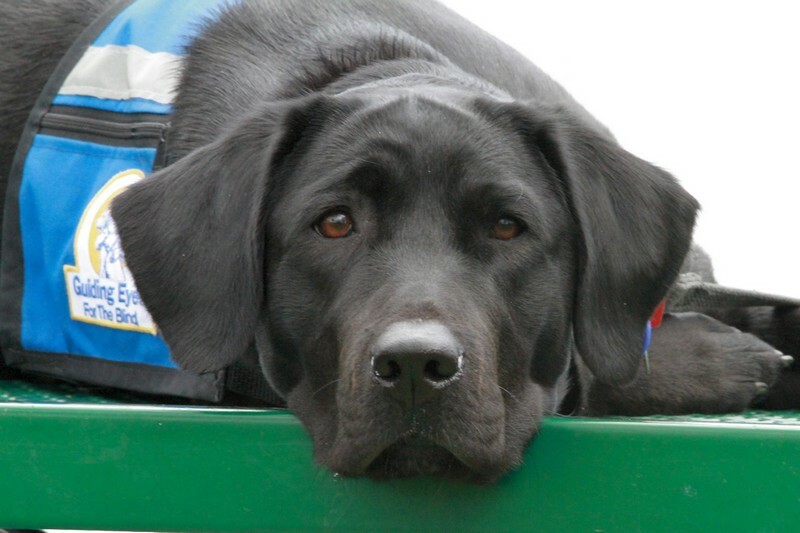 Guiding Eyes is dependent upon contributions to fulfill its mission and provides all services free of charge. 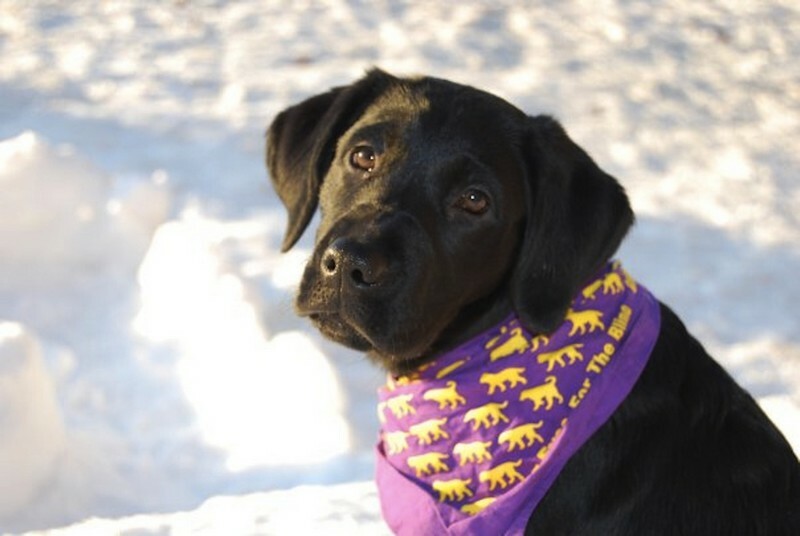 The organization’s Headquarters and Training Center is located in Yorktown Heights, N.Y. and its Canine Development Center is in Patterson, N.Y.
For more info, visit www.guidingeyes.org, like Guiding Eyes on Facebook or follow @guidingeyes on Twitter.